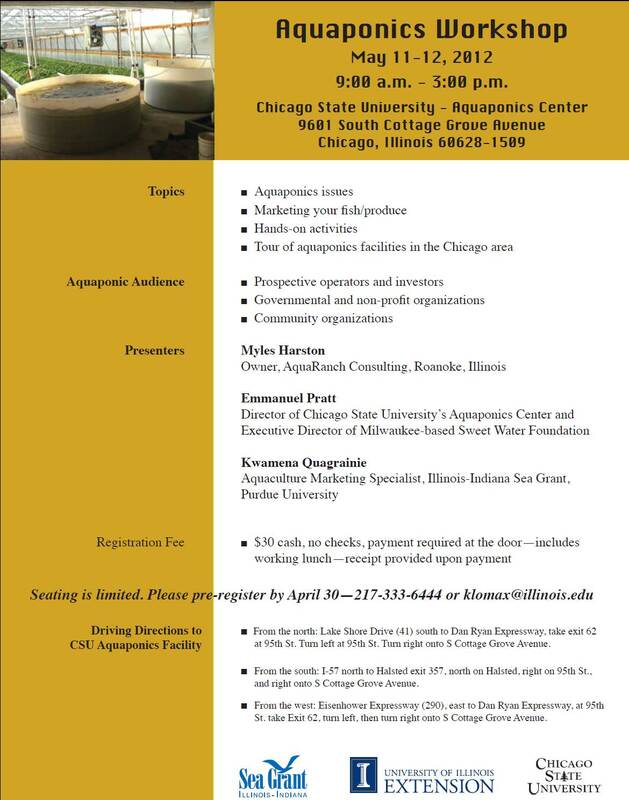 IISG’s Aquaculture Marketing Specialist Kwamena Quagrainie will be just one of the presenters at an upcoming aquaponics workshop scheduled for May 11 & 12 at Chicago State University. Designed with prospective operators and investors, governmental and non-profit organizations, and community organizations in mind, the workshop will feature hands-on activities, a tour of currently operational aquaponics facilities, information on marketing and selling the fish and produce, and more. Kwamena has been involved with aquaponics for a number of years, and is a strong advocate for research and implementation in the field. He was also involved in producing a very informative and interesting video about aquaponics that has helped to get more people involved in the possibilities. 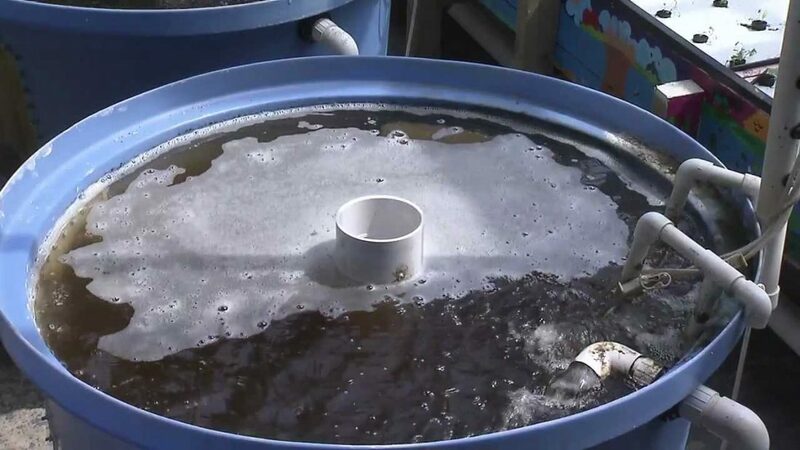 Aquaponics systems use the nutrients that are emitted from fish to nourish plants, creating a habitat that is self-sustainable and eliminating waste. As a result, aquaponics does not require a large amount of space. 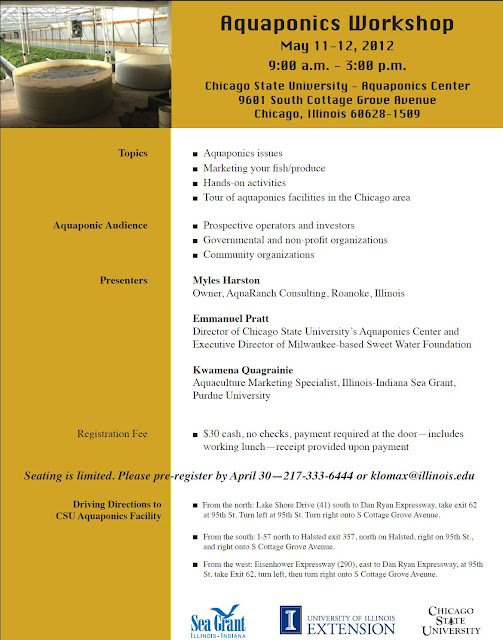 The workshop flier is below, and includes some more details about the upcoming workshop. To see if spaces are still available, or to learn more about future aquaponics workshops, use the contact information on the flier.